Sailing is one of the best things to do anywhere in Halkidiki. 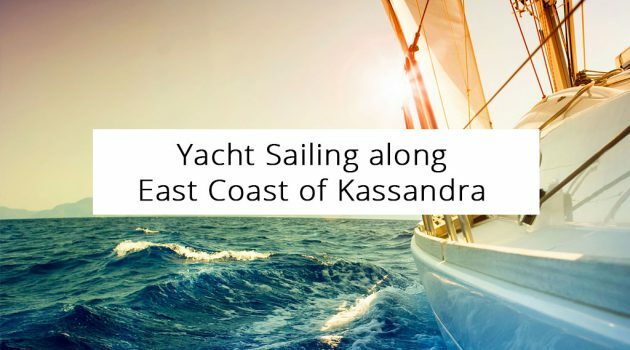 And cruising along east coast of Kassandra is no exception. In fact, this area is one of the best spots for such activities in the region, even wider. Sailing on the yacht along the east coastline of the peninsula is particularly rewarding. That is because you can enjoy ample relaxing, sightseeing and nightlife activities there. 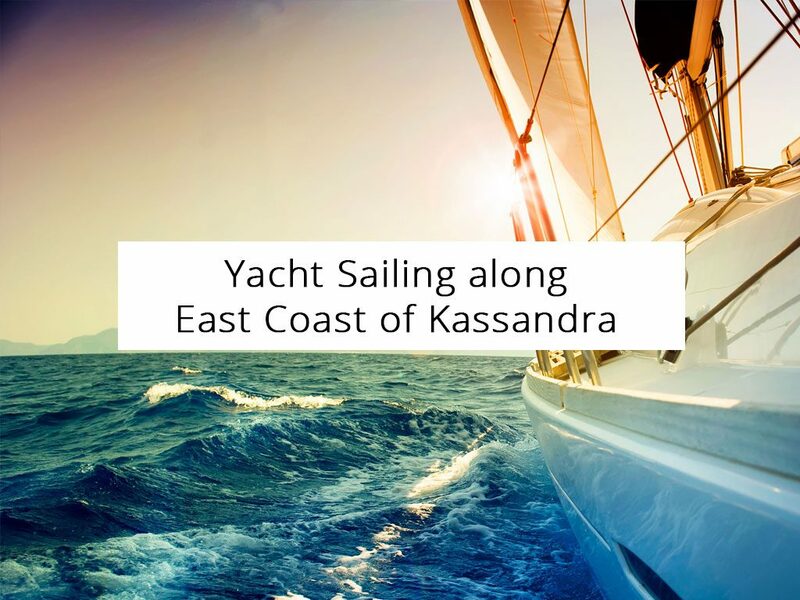 Once we reach the southeastern tip of the Kassandra peninsula, we start sailing in the northwestern direction. Some of the first beaches we will find are amazing Chrousso, Xenia and Alonaki, next to one another. There, we could stop to admire the amazing landscape of blue sea and verdant greenery. As well as water sports. Golden Beach is just north of the three. We could stop there if you like to stay on a less crowded beach. Waters of Golden Beach are calm and a forest edges the beach in the background. Finally, if you wish to spend time at the place visited by few people, Glarokavos is the perfect choice. It is a lagoon that isn’t arranged for activities on the beach. Which doesn’t stand for activities on a yacht, of course. Pefkohori, Hanioti and Polichrono are the main resorts of Kassandra, Halkidiki. As we head north, we will arrive first in Pefkohori. However, the boundaries between these resorts aren’t clear, so they might appear as a single one. A long beach connects these settlements, with hills and forests framing them from the back. Hanioti is the largest resort of Kassandra. We could make a stop there to enjoy a stroll on a long promenade, shopping and lunch at a fish tavern. Finally, we could schedule arrival in Kallithea or Afitos during evening hours. Afitos is a charming settlement with views of the Toroneos Gulf from vantage points. There are several top nightlife clubs and beach bars in the resort. Or, we could make a stop somewhat south, in Kallithea, if the premium nightlife is your priority.